Varanasi, Jan 18: The 15th “Pravasi Bhartiya Divas” or PBD Convention is going to start on 21st January in Varanasi, Uttar Pradesh. For this glorious and huge celebration of this festival, the Varanasi is all set up with preparations. The guests who are coming for this convention are coming from all corners of the world. The maximum number of 432 NRIs are coming from Malaysia. Similarly, 375 NRIs from UAE, 340 from Mauritius, 187 from US, 134 from Qatar and 109 Guests are coming from Oman to this celebration. Likewise, NRIs from Germany and few other countries are also attending the event. At least 7,000 people have registered for the event. Prime Minister of Mauritius Pravind Jugnauth coming as the chief guest. Pravind Jugnauth is the first Indian who accorded this honor who has his roots in Uttar Pradesh. His native place Rasra village, he will travel to his ancestral village during his stay in India. For this event, there is new “Pravasi Gram” was created. This Pravasi Gram consists of 1000 luxury tent accommodation, food streets, ODOP zone, the cultural hub, lounge with projection mapping, Gandhi Gram and Khadi Gram. 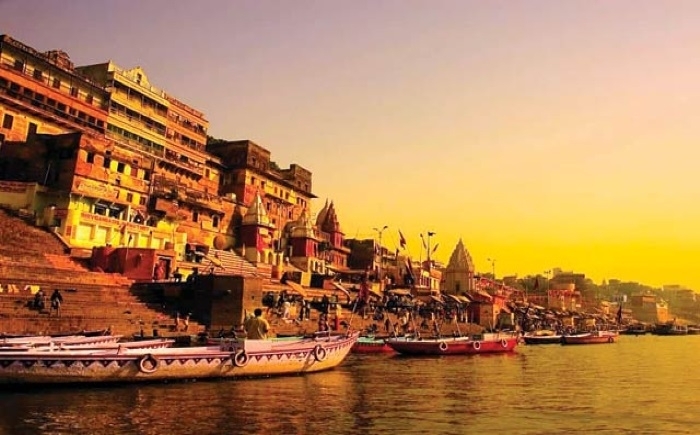 The district administration has also arranged for 450 Saraswati cottages, 120 Triveni cottages and 50 Kashi villas in the tent city for the guests. As many as 100 NRIs will stay in 50 Kashi villas. The cottages are equipped with all the facilities. Chief minister Yogi Adityanath has urged the people to come forward to uphold the spirit of ‘Atithi Devo Bhava’ and open their houses for the guests. There are over 200 families in Varanasi which will host them at their houses. According to district magistrate Surendra Singh, 326 NRIs have opted for homestay in the parliamentary constituency of Prime Minister Narendra Modi. The celebration of the convention will start with ‘Ganga Aarti’. The main event in Trade Facilitation Center in Pravasi Gram where all conferences, exhibitions and cultural shows. A youth PBD convention and Uttar Pradesh PBD is also being organized on January 21. Prime Minister Modi will participate in the event on January 22 and President Ram Nath Kovind on January 23. Uttar Pradesh chief minister Yogi Adityanath and external affairs minister Sushma Swaraj will be in Varanasi on January 21. The guests will also be taken to Kumbh Mela in Allahabad for a holy dip on January 24 and subsequently, guests will go to New Delhi to watch the Republic Day parade on January 26. Uttar Pradesh is the partner-state in the convention that the union ministry for external affairs is organizing.